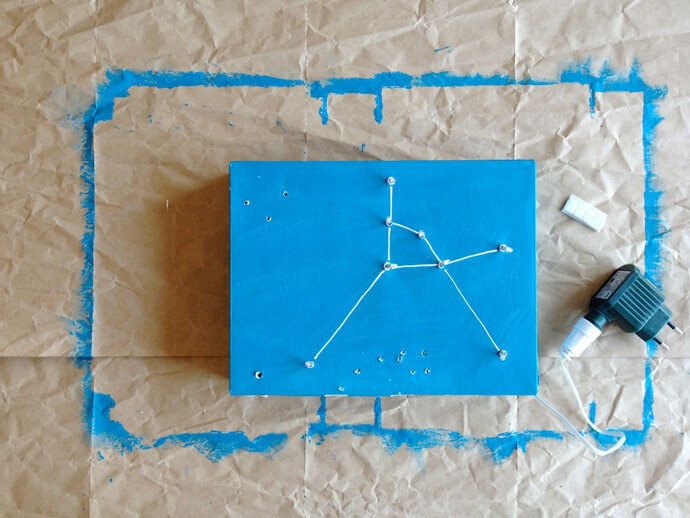 Recycle a cereal box into a light box with your favorite zodiacal constellation! 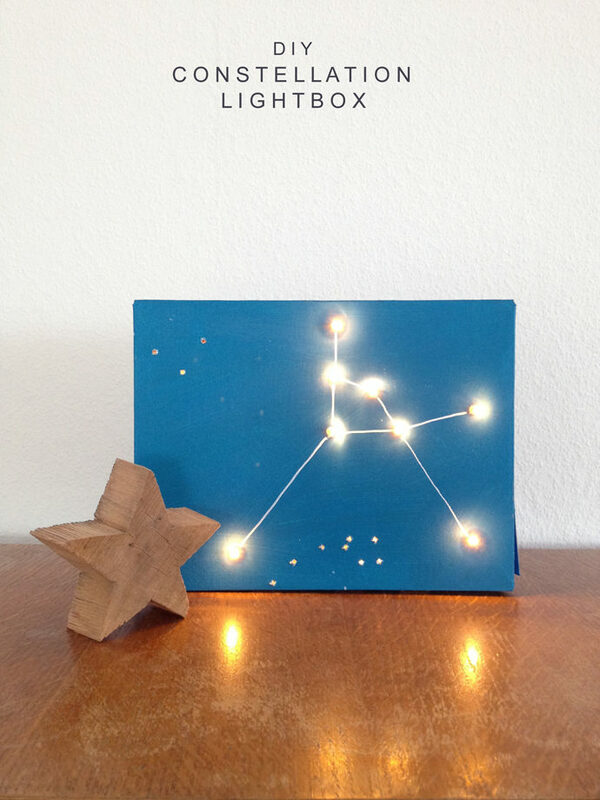 Our family loves stargazing in the summer and my son’s birthday is also in July, so I came up with the idea of making him this easy light box with the constellation from his zodiac sign (Cancer). Now even when it’s a cloudy night or the wrong season to see the crab, he can watch his stars after it’s dark in his room. 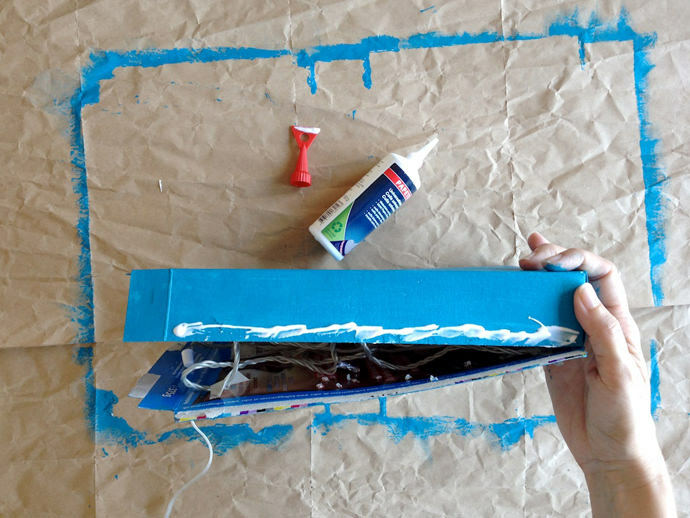 Got an empty cereal box, a string of Christmas lights, and blue paint? That’s all the material you need for this craft. Open up the cereal box carefully. 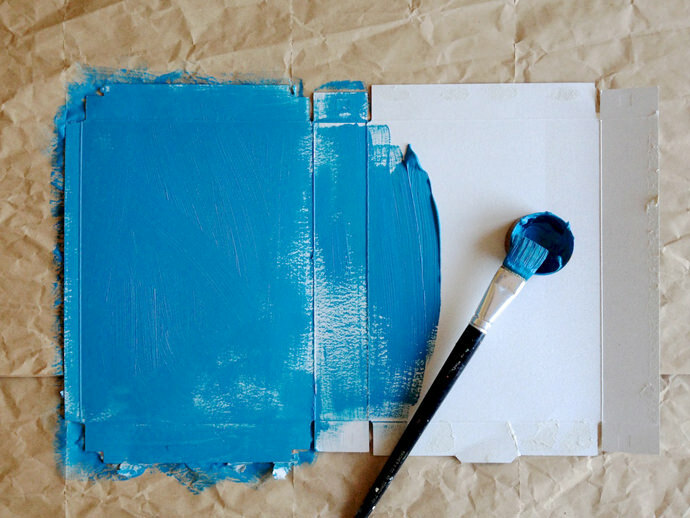 Mix the color as you like and paint the inside all over. I used mostly turquoise with some dark blue and green. Don’t use water, just the paint. Let it dry. Tip: Sunlight or hairdryer will speed up the drying process. 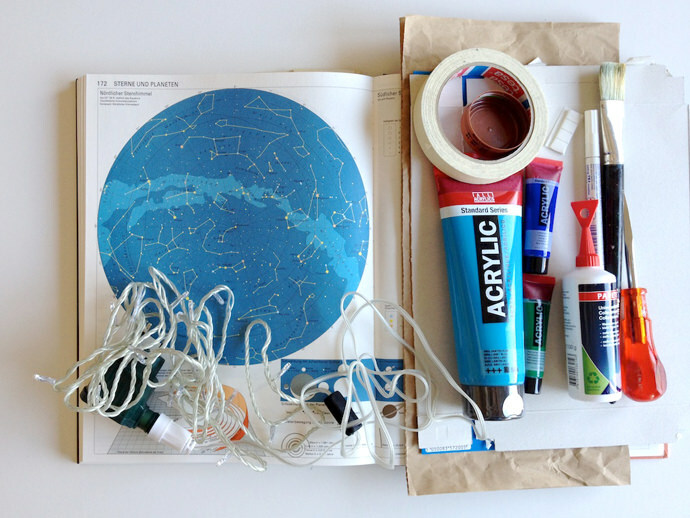 Mark and draw the constellation on the cereal box. 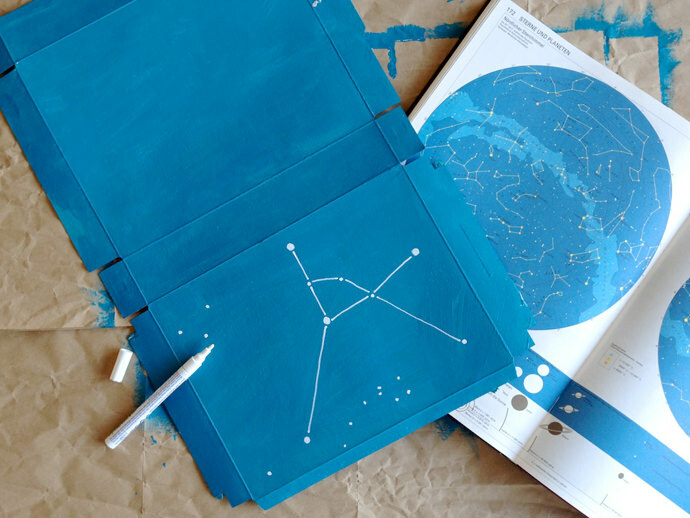 Also add the stars nearby. 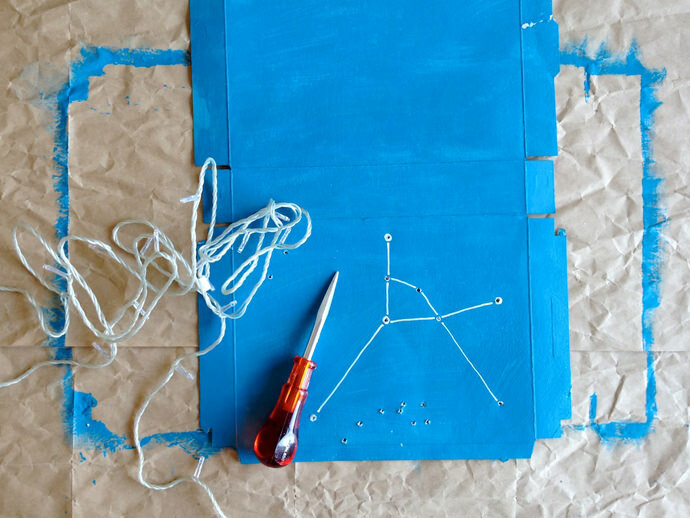 Punch holes in every marked star. Fit in the LED from the backside in only the main constellation. Tape the electric cord. 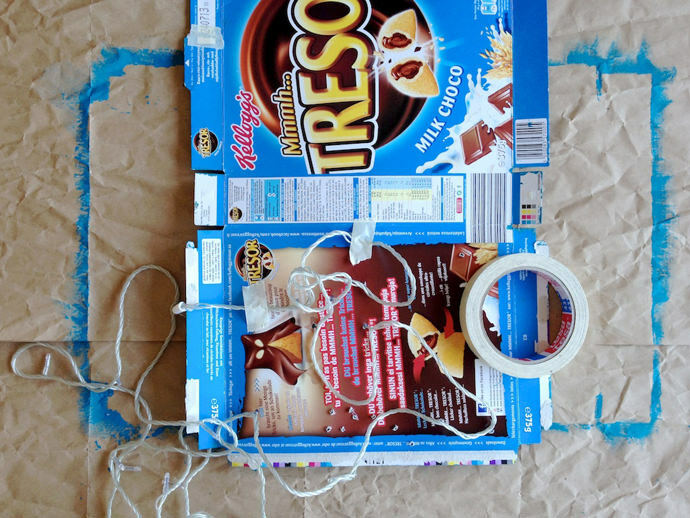 Close the cereal box with the string lights inside and glue the two sides. Let it dry. Put in on a shelf or hang it on the wall, as you like. 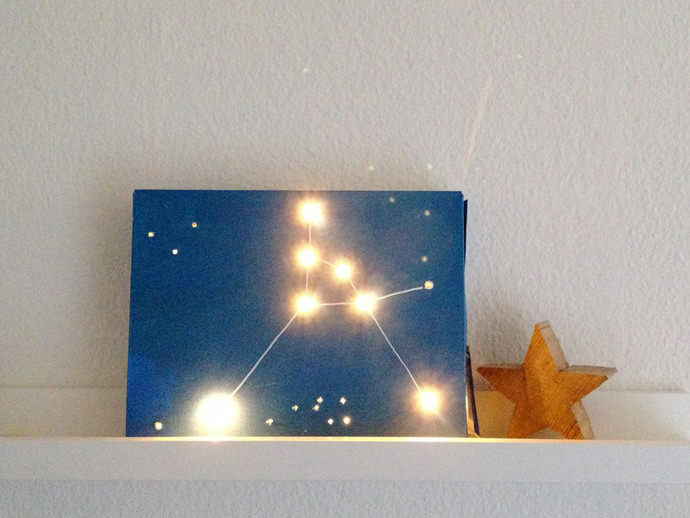 It’s time to turn down the lights and watch the stars! This is wonderful! I would have adored this as a child. I’ll have to remember it for my future children. What?! This is so great.